Charles Frace was the most famous and popular wildlife artist for nearly 3 decades. He is especially remembered for his big cats. 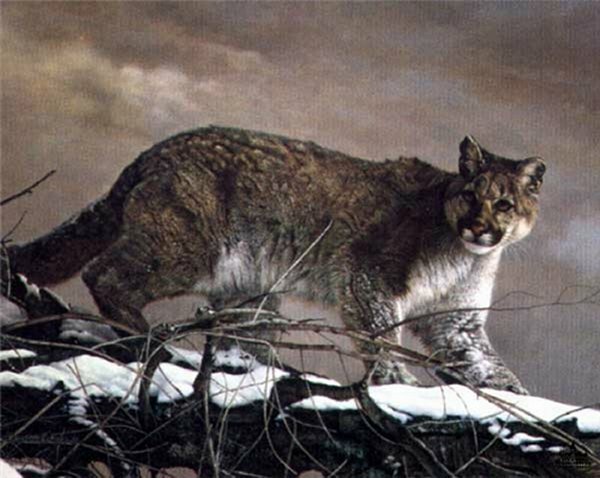 This American Cougar is a detail of a much larger painting that was created in the mid-1980s.